It can be towed by a mobility scooter, measures just 2m by 75cm and is being suggested as a way of bagging a spot for the Royal Wedding… meet the world's smallest caravan. Despite the diminutive measurements the £5,500 QTvan caravan still boasts a full-sized bed, a 19 inch television, a drinks cabinet and tea making facilities. Optional extras include solar roof panels, a SKY TV satellite dish, a games console, extra-wide wing mirror for mobility scooter and custom paint jobs. And makers say the mini caravan is so small that if you need anything else, you could even tow it into a supermarket… though don't expect to get there too quickly, it has a top speed of 6mph. 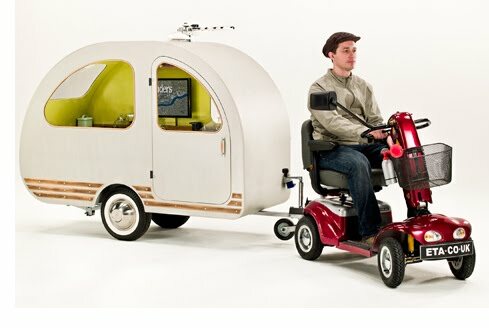 A spokesperson for the firm said: "Elderly spectators hoping to bag the best spot on the Royal Wedding procession route, but unwilling to spend a night camping on the pavement, can now buy a caravan designed to be towed by a mobility scooter. 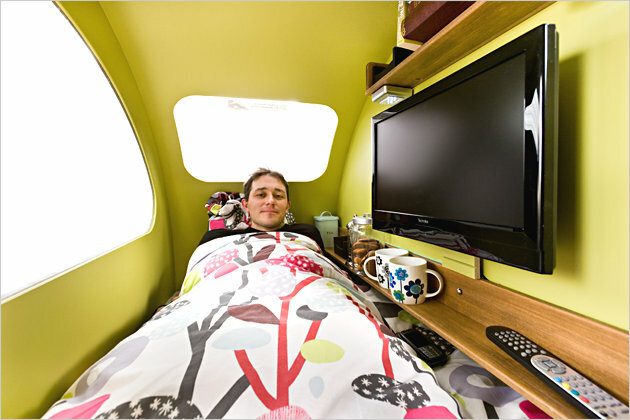 "The QTvan is the world’s most environmentally-friendly caravan. Using a conventional caravan for a ‘staycation’ within Britain remains a relatively green way of taking a holiday. "But if the electricity used to charge the mobility scooter is bought from a green provider, the QTvan is entirely carbon neutral." 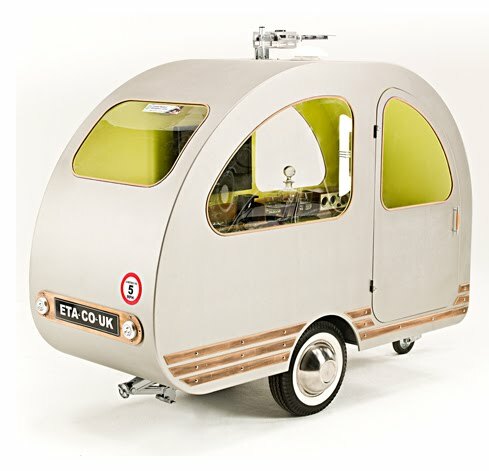 Developed by Environmental Transport Agency (ETA), the caravan was designed to highlight the 220,000 people who use a mobility scooter without breakdown cover.